Requesting the Enterprise Refit / Enterprise A model for 0.9.7.1. I downloaded a few of the ships for 0.9.7.1 and followed the instructions in the readme, but they don't seem to be in SE. The Ctrl+F3 menu only shows SS Science. downloaded a few of the ships for 0.9.7.1 and followed the instructions in the readme, but they don't seem to be in SE. The Ctrl+F3 menu only shows SS Science. Destroying and rebuilding it didn't solve the issue, and no other spacecraft (including the Star Trek collection in this thread) seem to have the same issue. I really tried to get that one ready for release with the pack but because of issues with the Emis map and specular I couldn't fix it and so I was unable to include it. I think I worked on it and was able to get it working with no problem; if so, I'll contact the author and see if I can get it released. the clouds are better then the normal? This is a matter of opinion. Some people will think yes, some people will think no. 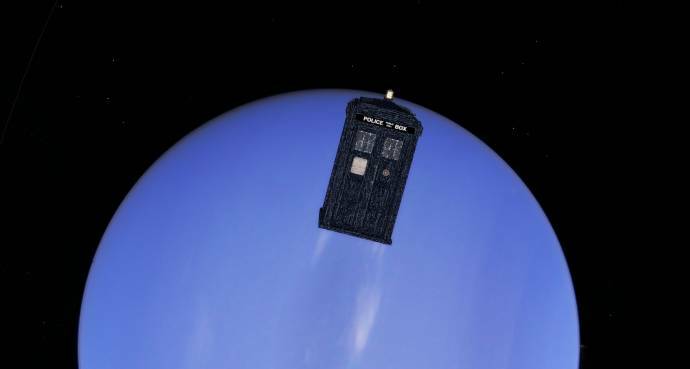 Sorry to bring it up again, but is anyone else having the same issue as me with the TARDIS? Its texture looks extremely rough. I don't think I can help you out, I have never seen that issue on any ship. Try converting the textures to another format maybe? I would only recommend the clouds if you spend most of your time in space and not on planetary surfaces. They don't work so well with the bump. 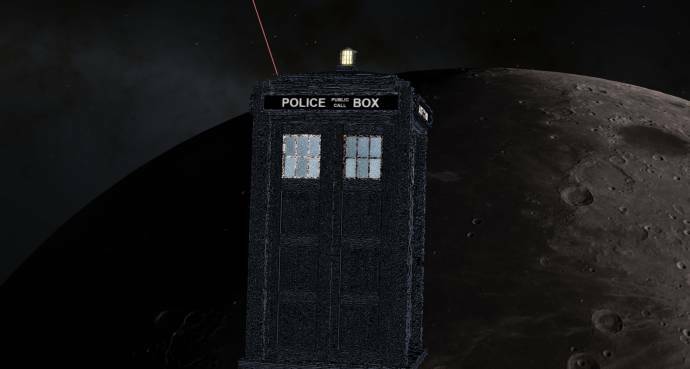 Neither converting the textures nor disabling water works, but by removing all the textures and readding them one by one, I've discovered the culprit is the file tardis_n.png. Without it, the TARDIS looks fine. It looks like normal-mapping bug. If you have AMD video-card try to update video-drivers. Great work as usual, dude! I did have to dial down the engine power of most of the ships, as they'd shoot out of orbit with so much as a tap - but aside from that, really nice work. At a glance that looks like either NineOfNine's or Lint's Defiant model. They've both been AWOL for years now, so I doubt you'll get a response from them. Farshot over at BCC has been working on a super-accurate Studio-Model version of the Defiant based on painstaking research by Saquist. I can't tell if it has been released yet, as BCC is down at the moment. As far as I know, the model is complete, it's just awaiting some hardpoint scripts, so perhaps Farshot would be willing to release it to you for conversion once it's released for BC. I have that same problem on free warps...How did you changer engine power?